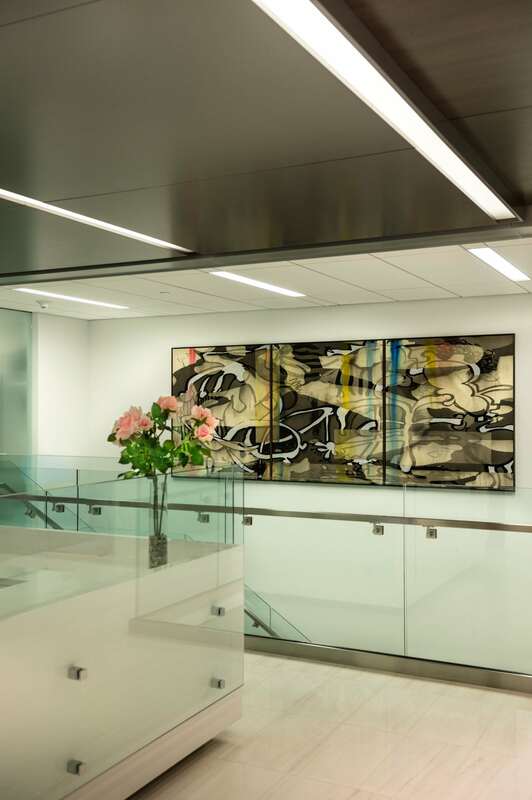 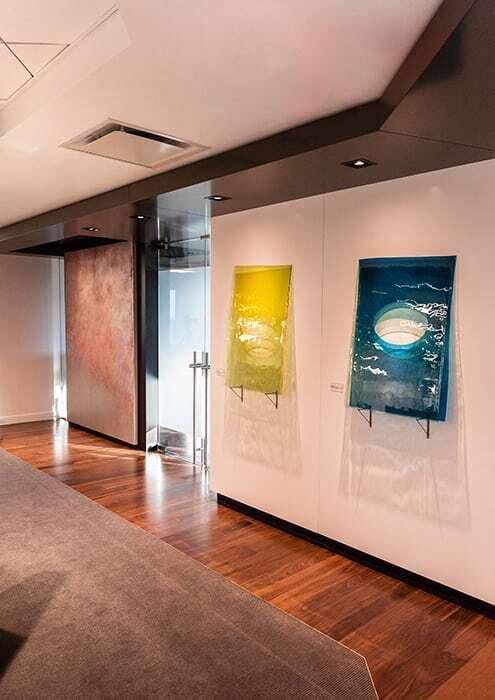 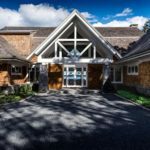 This minimalist and contemporary office renovation which includes the executive floor of a two story commercial mortgage office, forms a space that is as much a gallery for the owner’s personal art collection as it is a modern workplace. 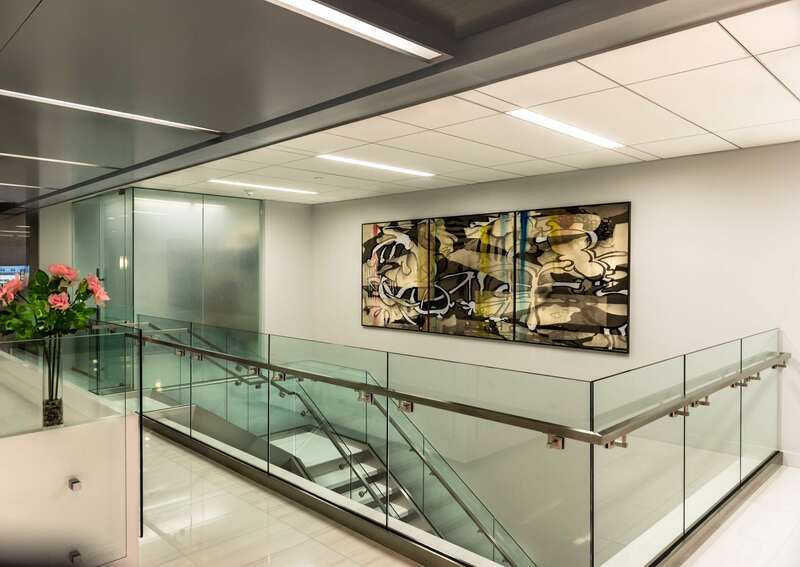 Stark white marble, paired with warm gray lacquer and stainless steel plate, establish a clean yet dynamic aesthetic- a simple palette on which to display bold works paintings and sculptures. 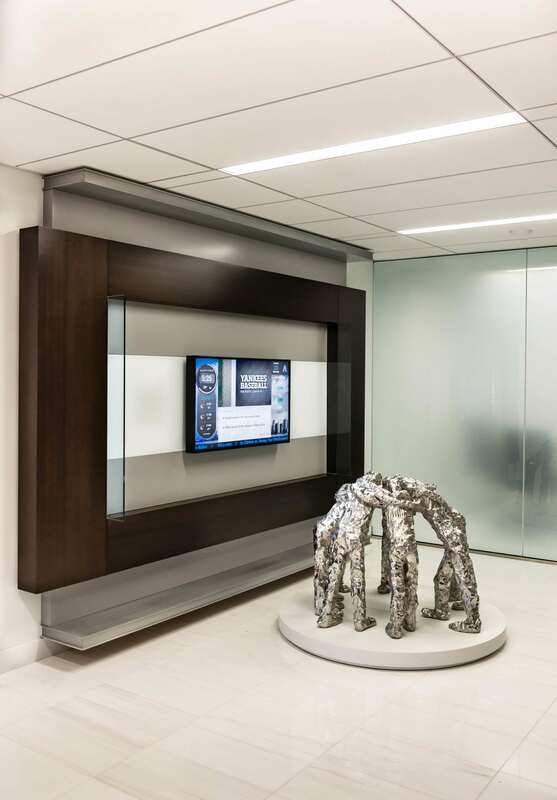 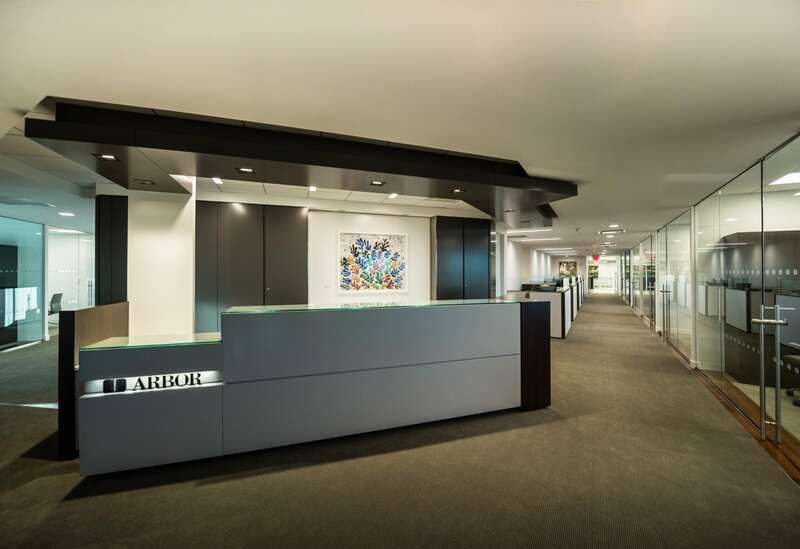 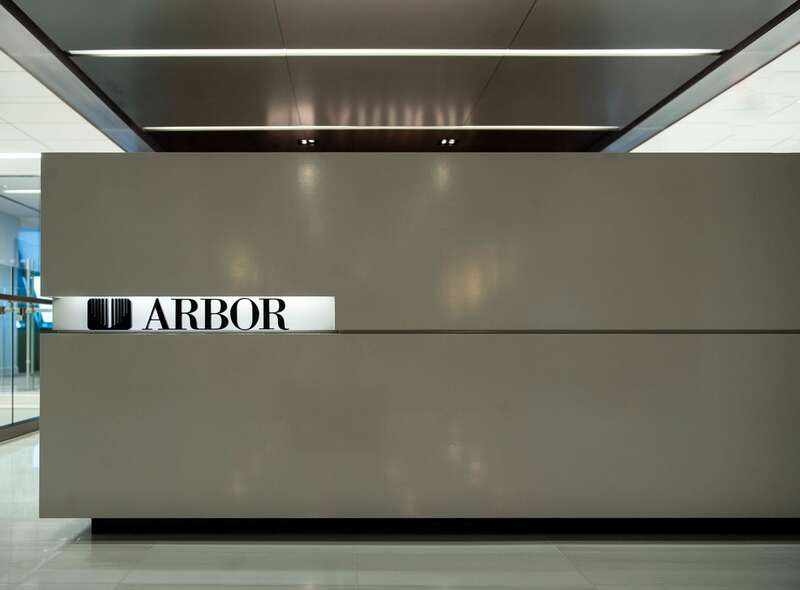 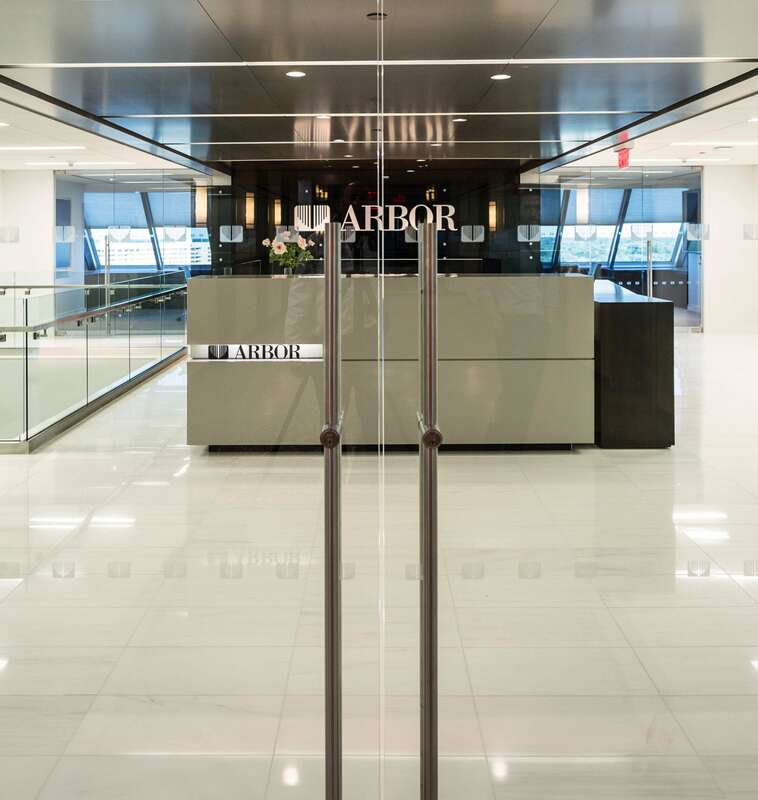 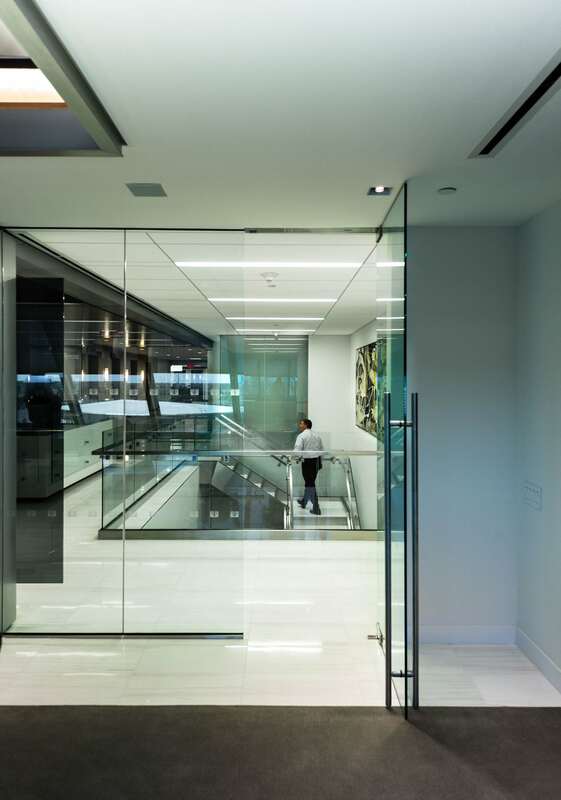 Through frameless glass entry doors, the custom reception desk anchors the oversized reception lobby, beneath a cabinetry ceiling with continuous linear LED lighting. 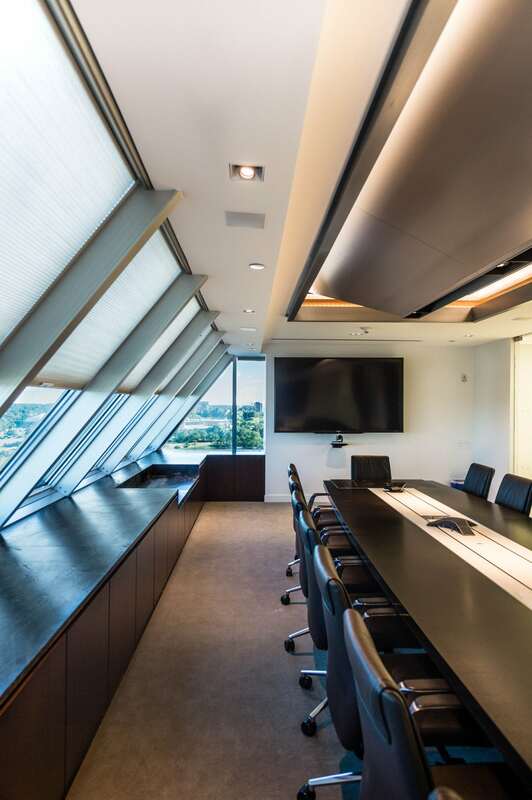 Dark stained makore wood recesses into the ceiling and returns downward behind the floating glass panels of the client lounge. 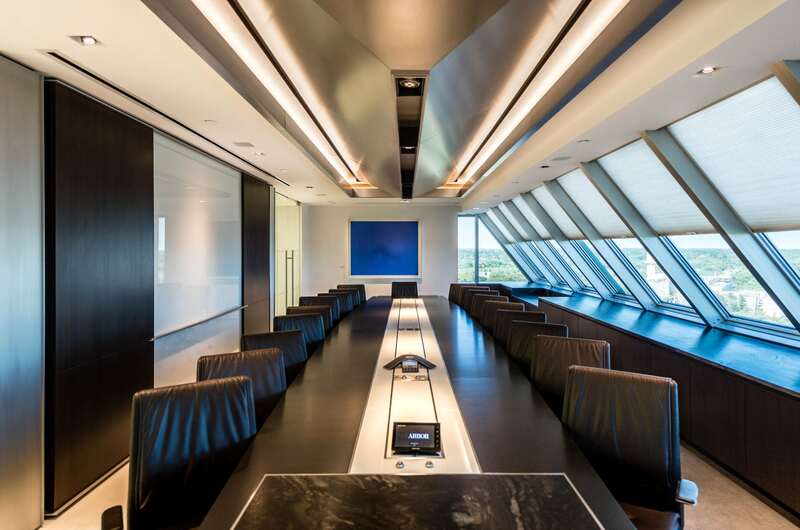 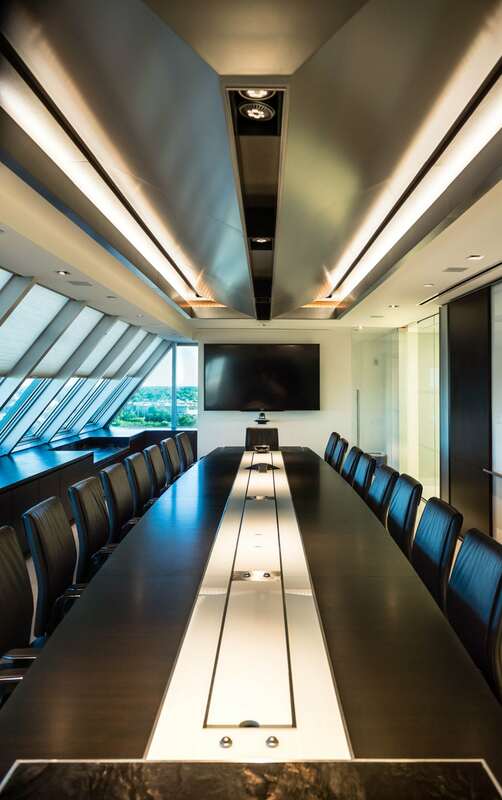 The board room features a custom table of wood, metal, and backpainted glass. 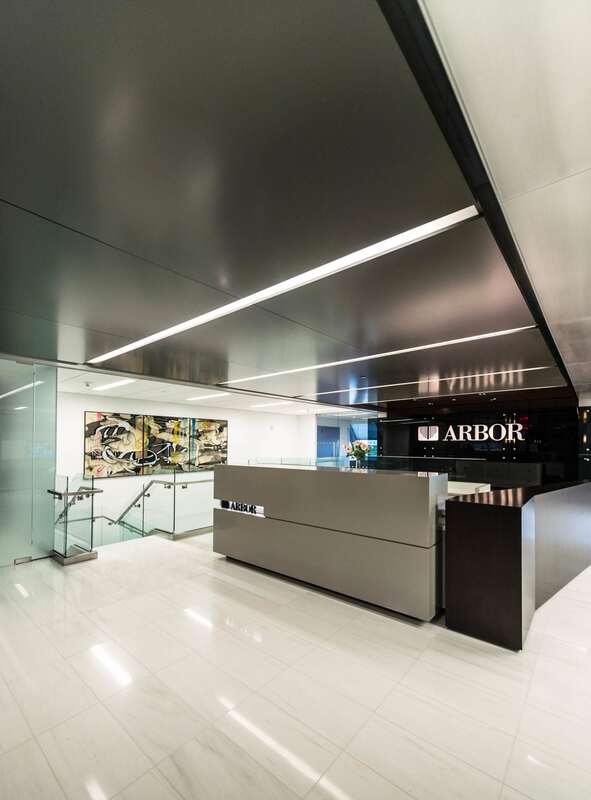 Above it floats a pyramidal lacquer soffit with open aperture black anodized light boxes, centered in a stainless steel trough. 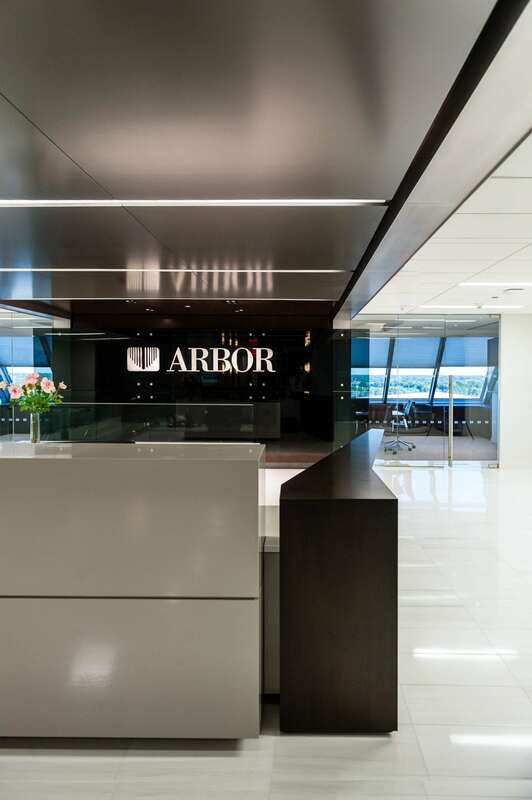 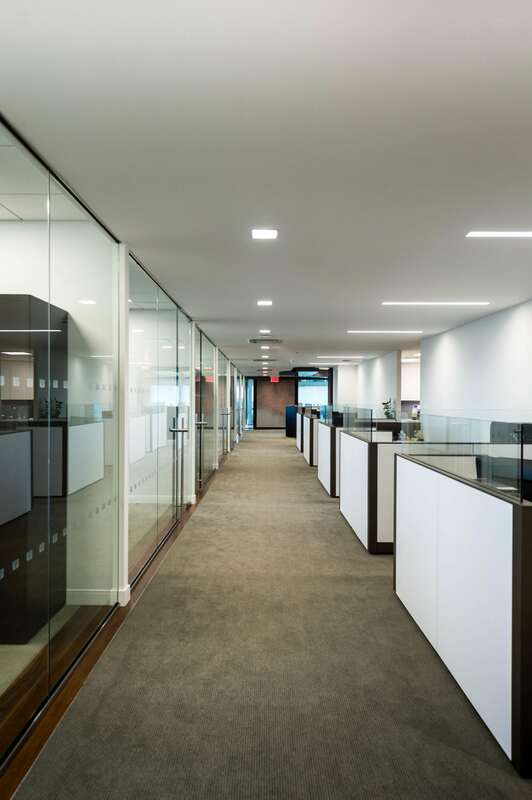 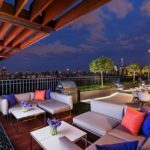 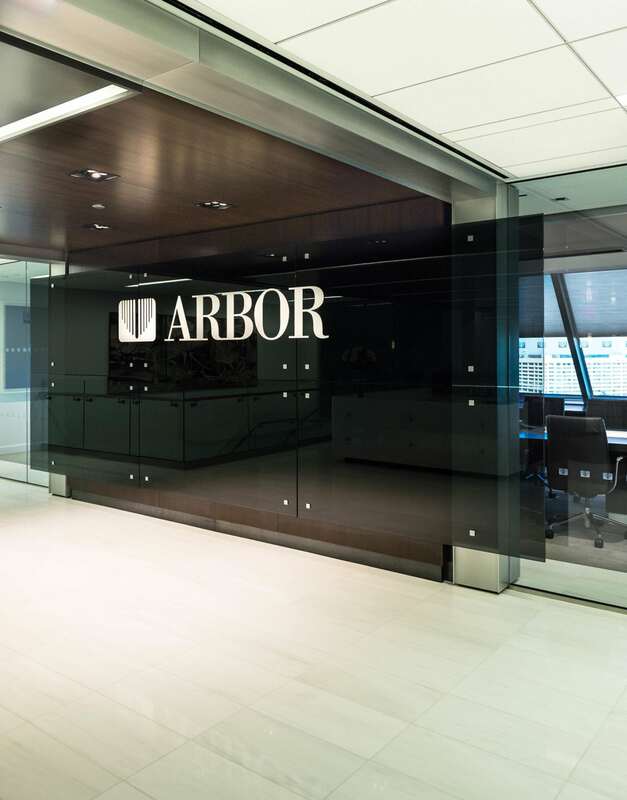 The office areas utilize full height frameless glass wall panels and doors to maximize natural lighting throughout the space, while highlighting unobstructed panoramic views and the distant silhouette of New York City.